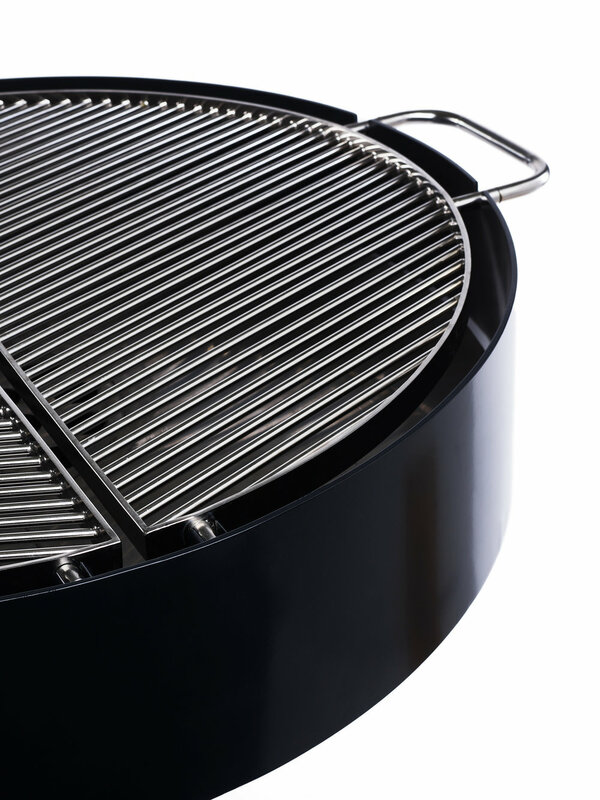 Material: All parts in and around the fire on the grill are made of grade 4301 stainless steel, and powder coated with heat resistant paint from Akzo Nobel. All other parts that are not exposed to heat are galvanized and powder coated with the same paint. The grill can be used without maintenance, but it is easy to clean once in a while with water, soap and a brush. Steel brush: Brush for cleaning the grill, is hung from the grill. Ash shovel: Shovel for removing old ash residue, is hung from the grill.